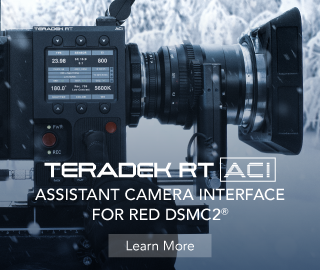 Even though the Blackmagic Pocket Cinema Camera 4K made a huge splash in the independent filmmaking community, some folks are a bit skeptical as to how well this camera performs, particularly when it comes to recovering from overexposure. 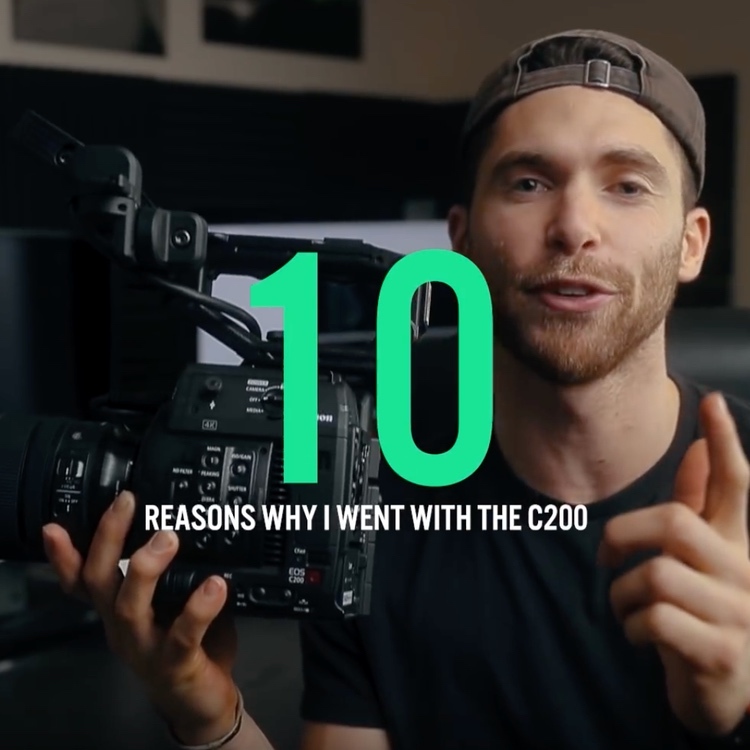 To sort things out, Carl Yates of ProAV TV decided to put the camera through its paces in situations when you need to recover highlights from accidental overexposure scenarios. For these tests, the goal was to push the camera’s exposure to the limit and see how far the image could be taken before it becomes completely unusable in these otherwise extremely challenging conditions. 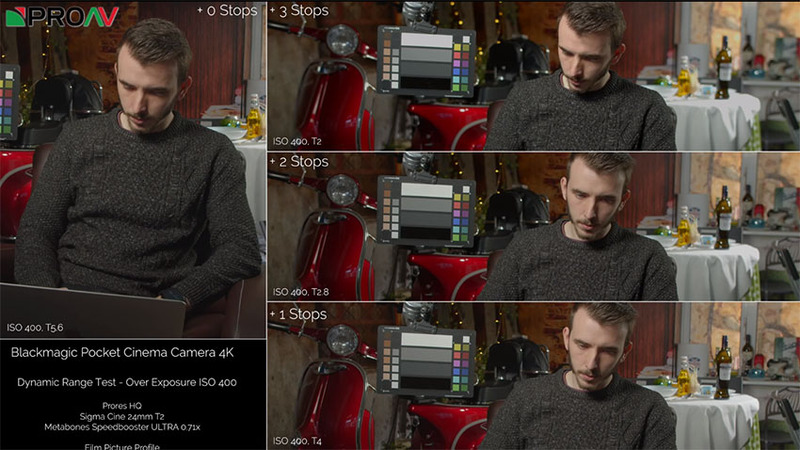 The first series of tests were conducted with the Pocket 4K set to shoot at ProRes HQ using the Film Picture Profile (Blackmagic’s equivalent to Log recording). The control shot (0 stops overexposed) had the camera set to ISO 400 at T2.8 followed by ISO 400 at T2 (+1 stops), ISO 800 at T2(+2 stops), and ISO 1600 at T2 (+3 stops). At 1 and 2 stops overexposed, the footage was completely recoverable, allowing to easily pull back information from the highlights in post. Looking at the clip 3 stops overexposed, however, you’ll notice that the shirt, face, tablecloth, and window in the frame are completely blown out. For the second test, the ISO was kept at one of two native values: 400 or 3200. To control the exposure, the iris was opened accordingly. With the camera set to ISO 400, the control shot (0 stops) had the aperture at T5.6. The next shots would then have the iris opened up to T4 (+1 stops), T2.8 (+2 stops), and T2 (+3 stops). Even up to +3 stops, the information from the highlights could be recovered from all the clips. This is mainly due to the optimal dynamic range of the camera when shooting at the lowest native ISO 400. As expected, when moving up to ISO 3200, the outcome becomes a bit different. With the same T-stop scale used in the ISO 400 test, you can see that exposing 1-2 stops over is still acceptable, with some highlight clipping on the tablecloth and window. At 3 stops overexposed, however, highlight clipping is prevalent across the board and extremely difficult to recover when shooting at ISO 3200. This result goes to show that shooting at ISO 400 is your best option when you want to protect your highlights and capture the maximum amount of detail in this particular area of the image. 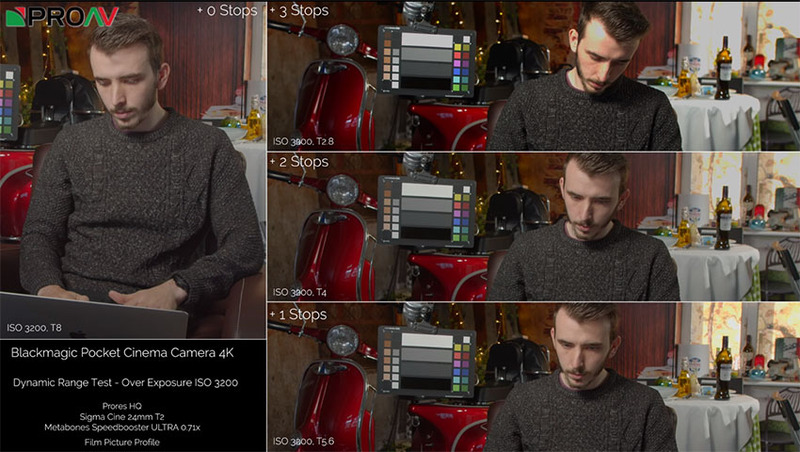 At ISO 400, the BMPCC 4K’s Raw looks well-balanced and properly exposed. At 1600, however, there is some noticeable clipping in the forehead and background. 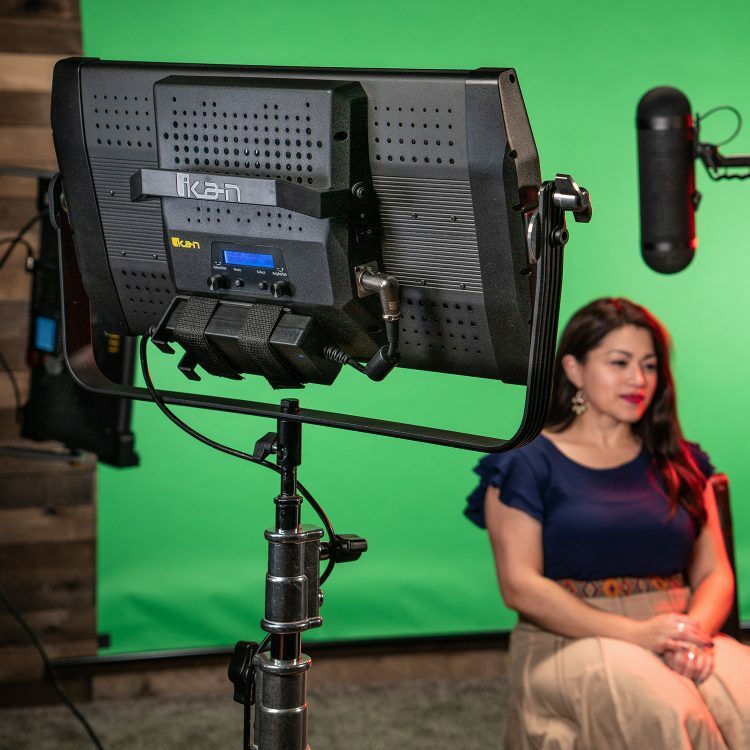 Nevertheless, the footage can be easily remedied by enabling the Highlight Recovery feature, found in the RAW settings of DaVinci Resolve 15. At ISO 3200, there is more highlight clipping present, though enabling the HL Recovery feature will still help fix this issue. 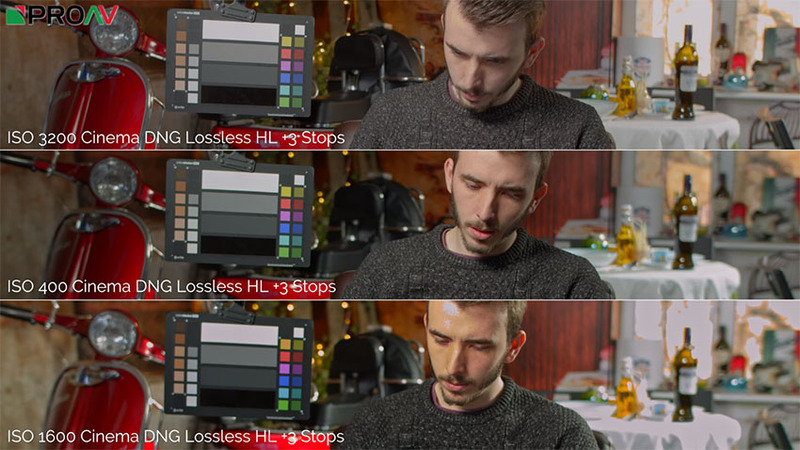 While the HL Recovery may not be able to cope with all of the clipping, it’s safe to say that an untrained eye may not even notice the minor image artifacts as well as the subtle color shift present in the frame. 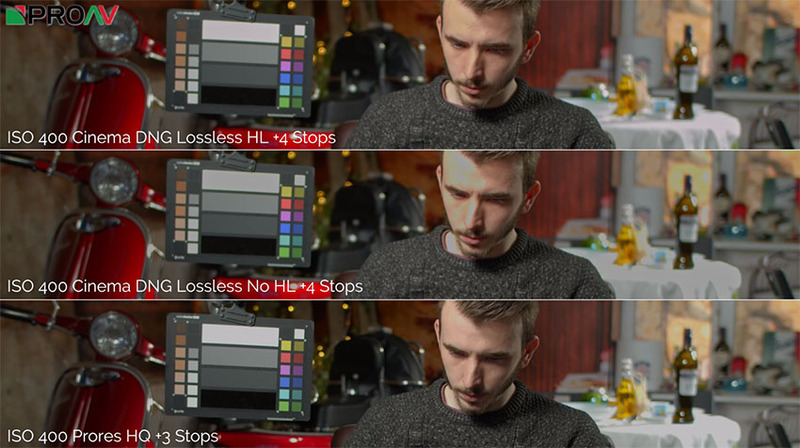 Lastly, the ProAV TV team decided to go bonkers and film the camera at 4 stops overexposed, just to see how well the RAW Highlight Recovery performed. With the function enabled, there was clipping in the background, even though the image was still usable. All in all, without highlight recovery, the captured footage ended up completely blown out which was totally expected considering the +4 stops. 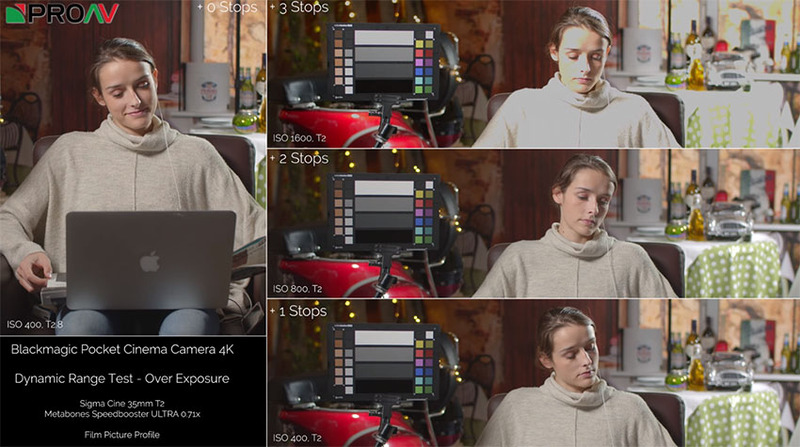 Based on these tests, the Blackmagic Pocket Cinema Camera 4K exhibits strong performance when it comes to highlight recovery. 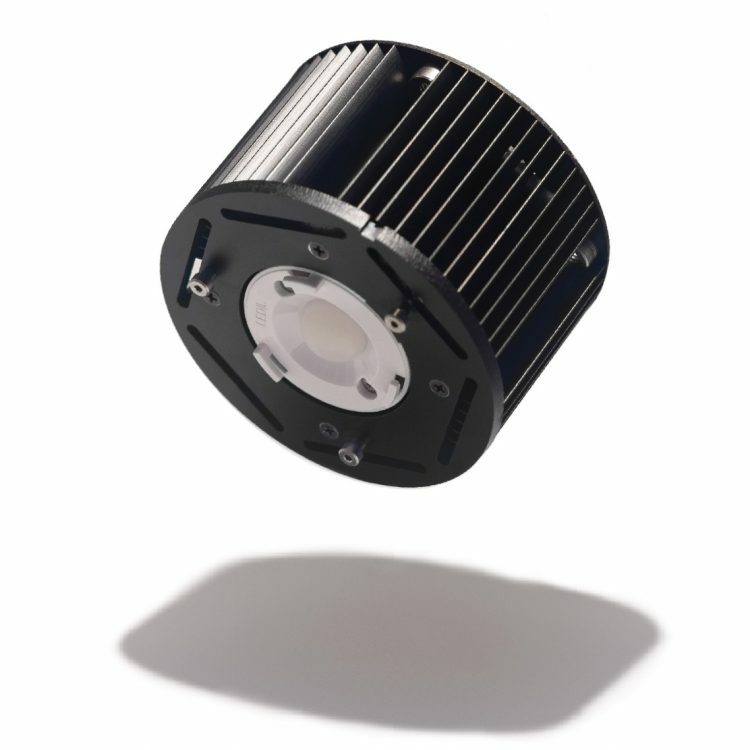 Although overexposing your footage is far from recommended, Pocket 4K shooters can find peace in knowing that most of the time they will be able to recover their overexposed clips given that they shoot Raw and have the patience and time to process the material accordingly in post afterward.